Have fun and add some glamour to your looks with these beautiful nails. 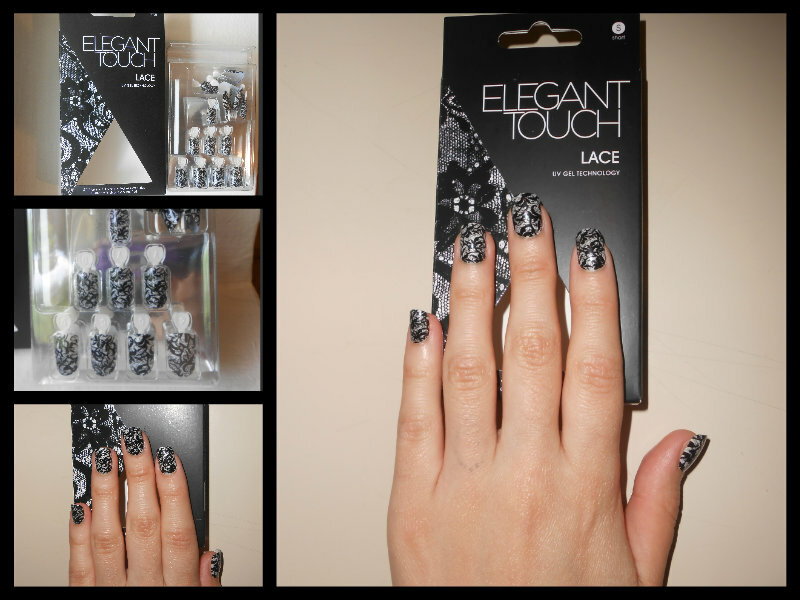 These nails are inspired by fashion and celebrity trends. 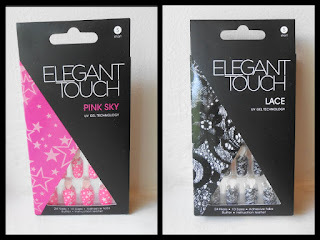 UV Gel Technology provides that added benefit of a salon gel meaning that the nail won't scratch and the nail stays bright and strong for the entire wear. These press on nail tabs are of high quality. They hold nails on tight for quite a long time. They are so easy to put on, remove, and a very convenient length (short) they are "thinner" and feel natural. 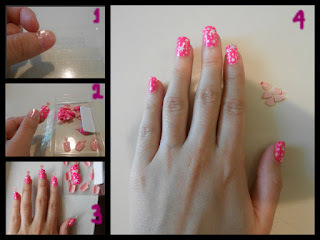 These nails are just so well done with fun-fashion designs & colors. I have no trouble matching the nails to my natural nail beds; they look professional every time and I LOVE the break-off tabs, they don't leave that chintzy fake-looking "break off" mark on the nail when you snap them off, just a clean finish. The nails last a long time, too (when applied correctly). I've been wearing mine for about a week now and it looks like the first day. (I'm a mom and I use a lot my hands; these are so practical) This came in 7 different fun designs (Pink Star, Lace, Rainbow Leopard, Pink Sky, Feather, Purple Zebra and Pink Leopard). Make sure your nails are very clean before applying the adhesive tabs. Take your time and make sure the tabs and nails "fits" the nails (covers from left-to-right). Once you put the nails on, break off the little tabs and you are ready to go! when I want my press-nail to last even longer, I always use nail glue as an alternative to adhesive tabs. *perfect looking (they produce uniform, symmetrical, clean designs). *wide variety from natural to flashy. *they are less damaging to your nails, I think, than acrylics, gels, etc. *you don't have to wait for them to grow out to get "filled". *no sitting in the salon forever. These beautiful nails are on in 5 mins or less. 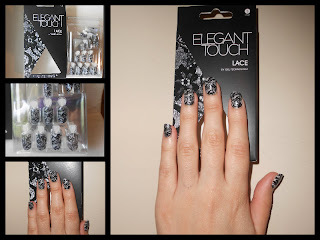 where can i buy this nails?? Ulta Beauty stores or ULTA.com! Thanks for stopping by my blog btw and I just started following by email! Great reviews you got here!